Summary: No new emojis, two minor changes, and one almost imperceptible change in Apple's latest iOS release. iOS 12.2 is out now and here's what's new in the updates to Apple's emoji set. 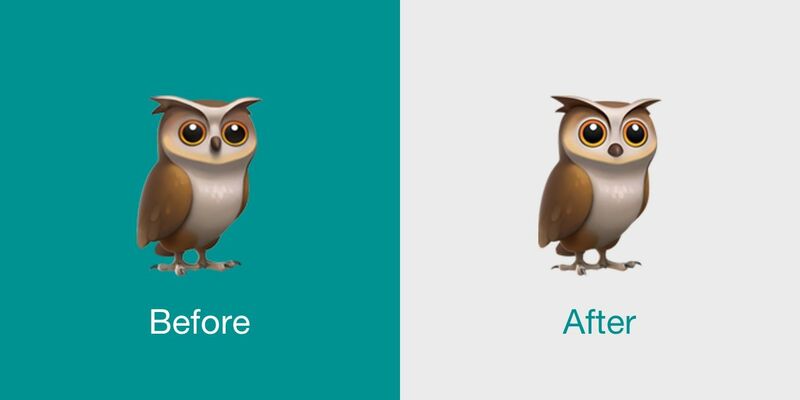 🦉 Owl now has lighter shading around the eyes and a smaller beak. 🐗 Boar remains mostly the same, but its ears have turned outwards. 🤦🏻‍♀️ Woman Facepalming: Light Skin Tone no longer glows on dark backgrounds. Note: other skin tone variations of this emoji did not exhibit the same bug previously, and thus did not require a fix. 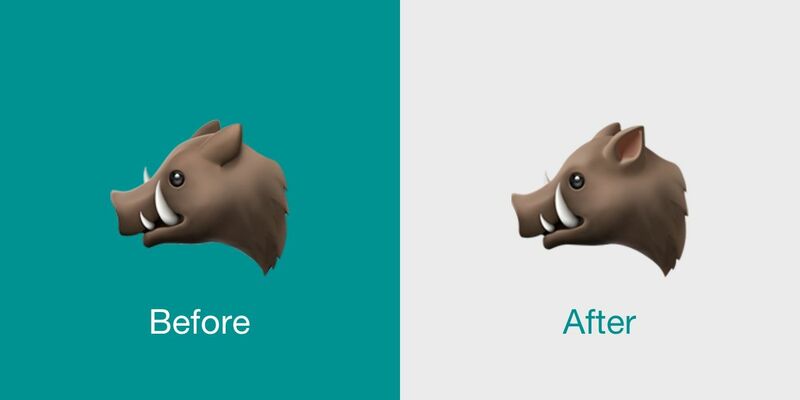 For the 🦉 Owl and 🐗 Boar, these updates continue Apple's recent tradition of sharing a 3D model for both Animoji and the corresponding image used in Apple's emoji font. The same pattern took place in March 2018 when 🦁 Lion, 💀 Skull, 🐻 Bear and 🐲 Dragon Face were all added as Animoji options, and their equivalent emoji renderings also saw tweaks in the same release. Above: When Apple introduces new Animoji options, the same emojis also see updates. In total, four new Animoji options were added to iOS 12.2. While there were also new Animoji options added for 🦈 Shark and 🦒 Giraffe, these did not see any changes to their corresponding emojis. There are no new emojis in this update. The 230 new emojis approved as part of Emoji 12.0 are expected to come to Apple platforms in late 2019. In the past two years, these have arrived in October in iOS 12.1 and iOS 11.1 respectively. If Apple keeps with its recent cadence, expect to see new emojis arrive in iOS 13.1 in October 2019. Note that these are Emojipedia sample images only. 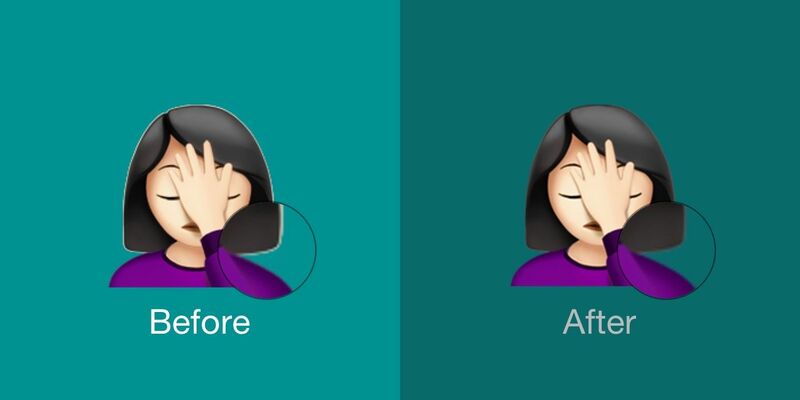 Apple will use its own designs when adding new emoji support, as is the case for all major vendors. iOS 12.2 is out now for supported iPhone and iPad devices. The same emoji updates have been released as part of macOS 10.14.4 and watchOS 5.2.